TOKYO, July 9 — Prayer rooms, hijabs made from local silk and even halal-certified whale meat are appearing in Japan as tourism bosses wake up to the demand from Muslim travellers. Last year, seminars like this one were held in 20 different regions in Japan, where hoteliers and restaurateurs were invited to learn how to cater to Muslims. The Osaka Chamber of Commerce handed out 5,000 leaflets as a guide to what can and cannot be eaten — the idea of forbidding consumption of things like alcohol or pork is anathema to omnivorous and foodie Japan. With the Islamic world currently observing the holy month of Ramadan, tourism to Japan is being heavily promoted in mainly-Muslim Southeast Asia, where visa requirements were relaxed in 2013 for Malaysia and Thailand. Indonesia — the largest Muslim-majority country in the world — is slated to follow shortly. According to the Japanese Tourist Office, the number of Indonesians visiting the archipelago in 2013 was up 37 per cent on the previous year, while 21 per cent more Malaysians came. Chinese tourist numbers have recovered from their plunge following the 2012 eruption of the spat between Beijing and Tokyo over islands in the East China Sea. But broadening the appeal of Japan as a destination is key if the industry is to meet the 20 million visitors target set for 2020 when the Olympic Games come to Tokyo. “Can you imagine the number of Muslim athletes who will then come to Tokyo? We’ll have to feed them,” said Ibrahim. Brahim as a company has already signed a deal with All Nippon Airways (ANA), one of Japan’s biggest carriers, to supply inflight halal meals, Ibrahim said. A number of large hotels have also approached him looking for advice on how they can cater for Muslim guests. For Ibrahim, despite Japan’s slow start, the direction of travel is clear: Muslims looking for holiday destinations will come, and in bigger numbers, giving Tokyo an ever-larger slice of a US$600 billion (RM1.9 trillion) global pie. Slowly, various regions across Japan are catching on. Major airports have dedicated prayer rooms, and tourists looking for the perfect present can pick up hijabs made from Japanese silk as they pass through Kansai International Airport, near Osaka, a recent television report showed. Customers looking for an authentic — but halal — Japanese dish already have a choice in Tokyo, including a yakiniku barbecue restaurant run by Roger Bernard Diaz, a Sri Lankan Catholic who converted his business, but not his religion. But sourcing produce can be difficult. “It’s hard to find all the ingredients,” he admits while pulling a Brazilian-raised halal chicken from a dedicated freezer. Muslims who want to sample whale meat are also catered for after Japan’s whaling mothership, which slaughters the animals on their controversial hunt, was certified halal-compliant last year. 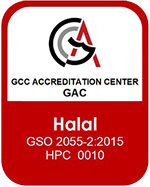 The Japan Halal Association, which was founded in 2010, is one of only two bodies that can grant this status in the country. Its chairwoman Hind Hitomi Remon told AFP that business is brisk. And even if the tourists don’t want to eat in Japan, producers are readying to send produce to them, with exports such as halal-certified soy sauce and even rice, grown in northern Akita prefecture. But until the numbers swell a little bit more, businesses catering to Muslims still have to keep an eye on what their other customers want.